Kathleen Eaton has been selling her oil paintings at galleries and art fairs for many years and has experienced the business since the time before canopies came into use. 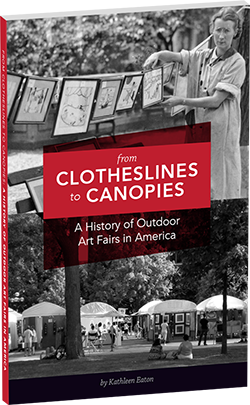 Eaton tells us about her new book, and the process that went into documenting the fascinating and little-known history of outdoor art fairs. © 2019 Art Fair History All Rights Reserved.